*Our most-loved Children’s Outreach Bible includes full-color study helps with the trusted New King James translation to make Bible reading fun and accessible for kids! 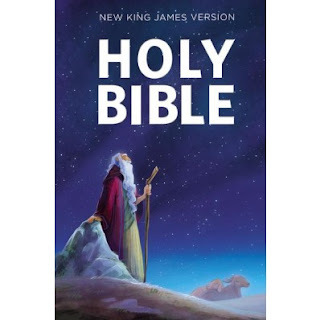 *This affordable Children’s Outreach Bible in the trustworthy New King James Version is a great value for anyone who wants to give children God’s Word. The fun and colorful cover is designed for boys and girls alike, and the interior features the full Old and New Testaments of the New King James Version, the translation loved and trusted by millions! *Also featured are 24 pages of kid-friendly full-color study help pages to help young children learn and grow in their faith journey. Whether it be because of price or another reason, not every kid has access to a Bible. I believe that any child who wants one should be able to have a Bible. After all, it's the book that Christians base their beliefs upon and raising kids in a Christ-like environment is a big priority. The NKJV Children's Outreach Bible is very affordably priced. It does not have a thick or hard cover but, other than that, it's a nice Bible for a child to own. The 24 pages of full-color study help pages are beneficial to helping a child further understand the Bible and work with growing their faith. For instance, there's a page on "How do I pray?" and one for "Why should I read the Bible?" There's also references to the miracles of Jesus and the names of God. A "to" and "from" page at the front can be filled out is the Bible is a gift. One person will win a NKJV Children's Outreach Bible. I own one Bible...my own children don't own any. But I know my niece (not sure if she has a Bible) would enjoy this one! 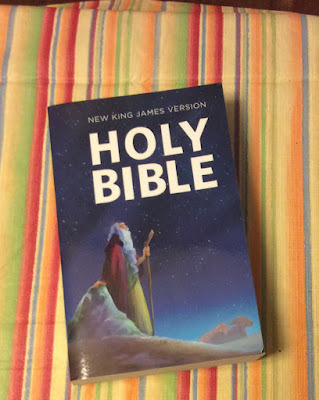 My daughter has one Bible given to her on the day she was born. It's pretty small. The children have their Bibles and there is one that belongs to the house. I own 3. My son owns 3. This one would be for my nephew who owns none. I own a study bible for myself and a smaller bible to take to church, my husband has his own study bible, and we have a family bible for reading together. We all have a couple. My children each have one. We own 5 bibles total in our household. I have 2. My daughter has 1. Thank you for being a blessing. My boyfriend and I have several Bibles, study Bibles and similar books and my twin Grandsons each have Bibles. We've given away several that we had and have many that belonged to his mother when she passed,as well. We have 3 the family bible my personal bible and my son has a bible.